Fall is here; the crisp air refreshing the days, summer leaves turning vibrant colors and the Saturdays of college football occupy college campuses and sports enthusiasts all across the United States Of America. Fall is the signifying of change; days changing from long to short, seasons changing and in many instances significant life changes. Basketball players and fans see fall as the ultimate beginning; a new hoop season. Football teams grind it out on the fields everywhere while basketball players are in the midst of their preseason conditioning, getting ready for a new season. The world of college sports affords campuses the opportunity to geek their fans with football while steadily building the anticipation for the forthcoming basketball season. 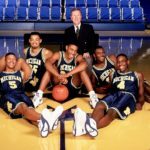 Twenty five years ago Ann Arbor, Michigan was the stage where five guys came together to change not only the game of basketball, but the culture of basketball and these five men showed how talent trumps tradition. `1991 was a magnetic year for the University Of Michigan. 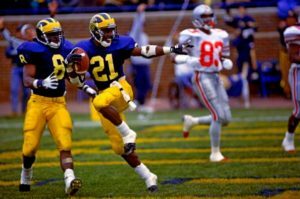 Desmond Howard electrified the world of college football in route to winning one of the most coveted individual award in sports; The Heisman. The exploits taking place in the Big House where a prelude to the magic which would soon take the world of college basketball by storm. 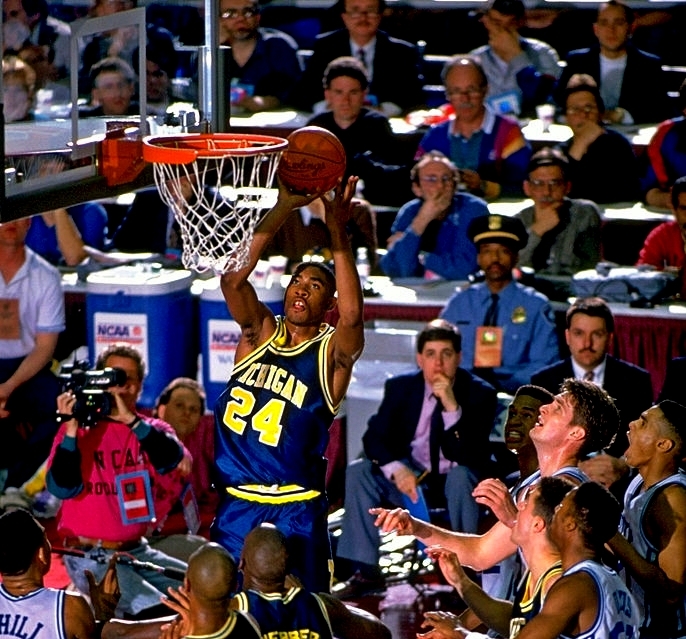 The Michigan Wolverines men’s basketball team were two years removed from a National Championship in the fall in 1991, yet the next groundbreaking move to be made by head coach Steve Fisher would prove to define the University’s legacy in men’s basketball. Freshmen on college basketball teams have essentially always had to earn their way to play through the ranks of seniority, not necessarily because of talent. 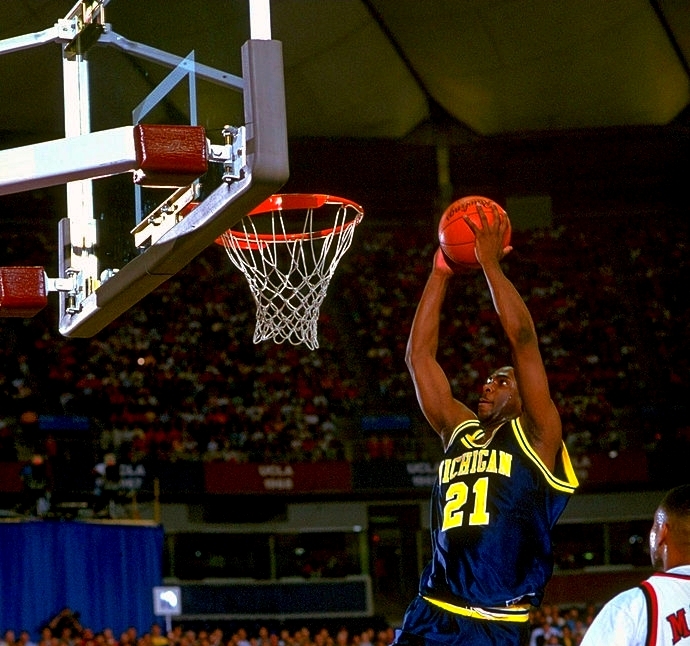 The fall of 1991 saw five freshmen come together in Ann Arbor to hoop but it was their individuality collectively that allowed them to become not only winners; they became basketball icons. 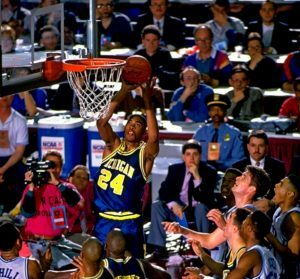 Jalen Rose, Jimmy King, Juwan Howard, Ray Jackson and Chris Webber solidified a recruiting class that made the University Of Michigan Men’s basketball team instantly better on paper before the start of the 1991-1992 season. Considered at the time to be greatest recruiting class ever, The Fab Five began their iconic legacy with the Midnight Madness in Chrysler Arena and essentially NEVER looked back. Setting the stage with their talent, enthusiasm, confidence and originality, J-Rose, Jimmy, Nookie, C-Webb and Ray Dawg were not only able to make noise by their play on the court; they captivated the world in they way which they played the game of basketball. The previous basketball season saw the end of the one of the most dominant reigns ever in college basketball with the 1990 NCAA Champion UNLV Runnin’ Rebels losing in the 1991 NCAA Final Four to the eventual NCAA Champion Duke Blue Devils. It was these Rebels from Vegas with which so many hoopers across the United States of America identified with; dominant, stylish, in your face and taking names was how the Rebs played the game. The greatness and dominance of the Rebs brought as many haters as it brought lovers but their greatness was forever engraved not only in the NCAA record books but in the minds and hearts of those who witnessed them play. The Fab Five were Freshmen, yet their games were grown. Traditionally freshmen came on campus quietly and their games reflected that trait. Michigan’s freshmen hit the wood with game for days and an attitude that solidified their game. The eventual success that the University of Michigan’s men’s basketball team would achieve in not only that season but in their sophomore campaign can be attributed to the talent of the five freshmen and also the mental makeup of the five celebrated freshmen. Coming to play, not coming in to sit, changes the atmosphere of an entire basketball program. Expectancy breeds competition and competition creates an atmosphere for success where failure is not an option. Jalen Rose, Jimmy King, Ray Jackson, Juwan Howard and Chris Webber all came from winning basketball programs and were all highly successful individually. These facts created positive air for the program which eventually proved to be contagious and invigorating. 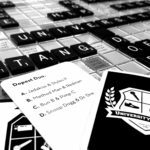 Upperclassmen being pushed to the extreme by freshmen created the ultimate climate for success; the irony is that this could have caused a total division which could have destroyed the entire team dynamic. The natural joy with which the Fab Five played the game matched their talent, leading to some of the most exciting basketball ever to be played on the collegiate level. Behind the back passes, crazy alley oops, laughing at opponents and beautiful trash talk refreshed the game of basketball. 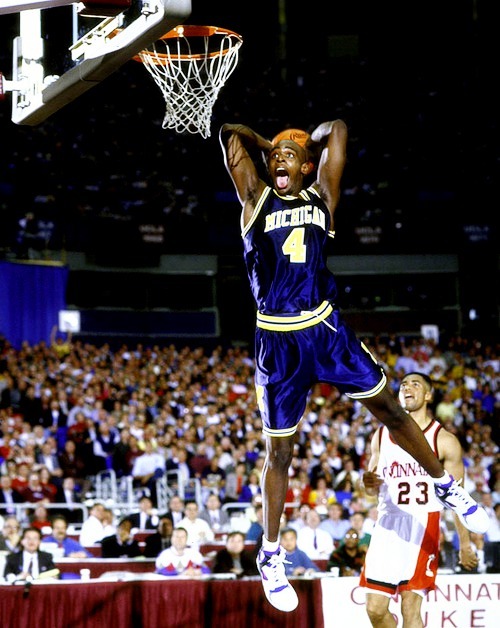 The style brought to the world from Ann Arbor is forever present in the game of basketball. To quote Deion Sanders, “If you look good, you feel good, if you feel good, you play good” and you know the rest of Prime Time’s quote and this was exemplified by Ray, Jimmy, Jalen, Juwan and Chris. The baggy shorts, the black socks and the bald heads provided a flair to the game of college basketball which had never been seen before on a nightly basis. The UNLV Runnin’ Rebel teams of the early 1990’s scratched the surface of being uniquely fashionable with the Nike sponsorship with which they had, but the Fab Five took it to another galaxy. Kids everywhere made it a point to buy the black Nike socks and the gold Nike Michigan shorts whether they were a hooper or not. The Fab Five made the way you look as a hooper just as important as how talented you are as a hooper. Each game presented the Fab Five the platform to unknowingly influence the future generations of basketball players to come after them. The five freshmen teamed together (eventually all becoming starters) to lead the team from a twentieth ranking in the Top 25 AP Poll (at the beginning of the season) to a final ranking of number seven in the country and a National Runner-Up finish in the 1992 NCAA Final Four. Any team making it to the ultimate game of NCAA Division I basketball is momentous, but to do it as freshmen in the style which Jimmy, Jalen, Juwan, Ray and Chris did was forever groundbreaking and game changing. 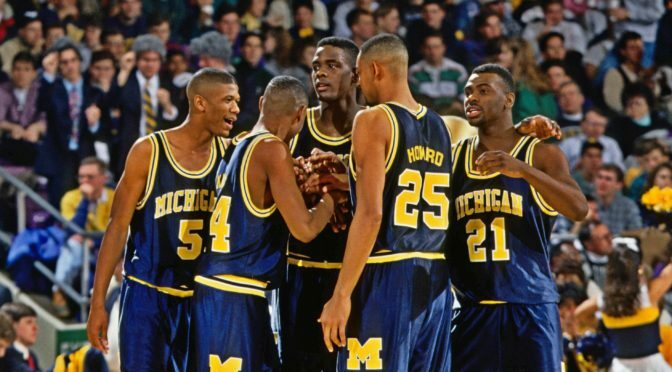 The arrival of the Fab Five on campus in Ann Arbor created the present day embracement of the freshmen sensation. The arrival of talented freshmen basketball players on campus is totally celebrated today, even if it is more hype than actual skill but the Fab Five’s legacy as the first to be successful collectively as a group is what makes them forever the greatest. All the kids loved the Fab Five; the majority of the adults hated them but as with any iconic movement, the hate didn’t stop their greatness. The greatness of the Fab Five was enhanced by the hate which they received and twenty five years later totally embraced by all that did and did not see them play.